You'll see it on every industry forum online: Members asking how much they should charge for a particular job or what's an appropriate hourly rate. Some of the more experienced engineers on these forums respond with helpful advice on not undercharging, and not being afraid to change a reasonable rate. This makes total sense. According to this Forbes article, undercharging is bad for you and is often the result of mental blocks against charging what you're worth. Undercharging is bad for the industry and, in the long run, bad for customers. But how do you not undercharge? What is a reasonable rate? Here's one common method for figuring out how much to charge. Now let's delve into the detail on this method plus a second method: basing prices on your historical price per job. With this method, you'll calculate your living expenses, business expenses, and taxes to figure out an hourly price that will cover those costs. Here's how. Step 1. Calculate your living expenses. Make a list of all of your expenses, and jot down an approximate monthly total for each. Recurring expenses are easy to remember, but be sure to also include occasional expenses like holiday gifts. Not sure how much you spend? Sign up for a financial tracking system like Buxfer; after a few months you should have an idea of how much you spend on what. Once you've figured how much you spend in each category, add the numbers to a spreadsheet in Excel or Google Sheets, or even jot it down in a notebook. Then add a little extra to pad your budget for unexpected expenses. If you just want to get a general number so you can move on with your calculations, try a tool like the Minimum Income Calculator to find out what is the minimum amount of money you need to achieve a decent standard of living in the UK. Just be sure to get more detailed numbers for your personal situation as soon as you can, so you can fine tune your pricing. Step 2. Calculate your business expenses. If you could use more help, this website offers a very detailed list of tax allowable business expenses. Step 3. Figure out your taxes. You can start figuring out your tax responsibilities by using the UK Government’s tax self-assessment, ready reckoner. Essentially, you pay income tax based on your profit—earnings minus business expenses. However, your specific tax obligations may be different, so you may want to consider consulting a professional. Step 4. Use the formula to determine your day rate. Example: Let's say you need to make £36,000 per year to meet your living expenses. 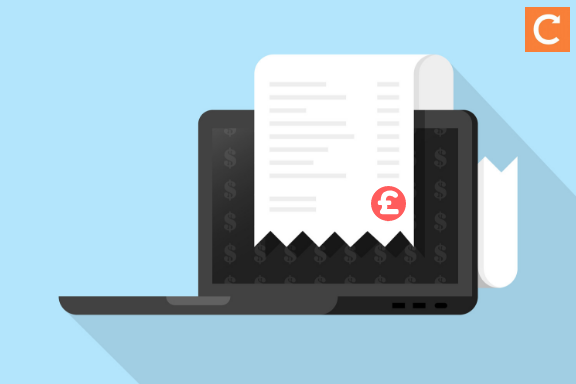 You expect your business expenses to be about £14,000 per year, your taxes are estimated at around 30%, and you plan to work 261 billable days per year. So to meet your requirements, you need to earn £251 per day. Now, let’s say you have four billable hours per day, which is fairly typical. You'll then need to charge roughly £62.7 per hour to meet your lifestyle needs. With this method you look at the time you've actually spent, and what you've actually charged, for jobs in the past. To start, gather the financial documents that detail the money you've earned on a particular job. That can include your pay stubs, tax documents, or signed contracts. Calculate the total amount paid for the work you did and the amount of time you spent on them. Repeat this process with other positions you've held to get a good idea of your actual salary history, then follow these steps. Step 1. Compare your hourly pricing and revenue history. Is your historical pricing adequate to meet your needs? If not, you're undercharging. It's important to identify why, and to correct your pricing accordingly. For example, it could be that you're often called out to diagnose a fault. If so, it’s key that you make clients aware they’ll pay a call-out charge plus an hourly charge after the first hour. That will make your prices transparent from the beginning. If you're afraid that this will upset customers, remember: It’s better to give them an accurate idea of your pricing up front than to have to chase them for money later. Or worse, they might post a negative review online if they think you’ve been dishonest! Step 2. Take care of practical considerations. Typically, customers will ask for a fixed price for a job because then they know there will be no nasty surprises on the invoice. So it’s vital to provide one, even for small jobs. The advantage for you is that you can plan your work accordingly. The disadvantage is what's known to many as Murphy’s Law: If something can go wrong, it will go wrong. To overcome Murphy’s Law, you'll need to add in 15-25% buffer, at least, to give yourself a chance of breaking even on those jobs that cause you a headache. Another risk is that while you're on site the customer will make a casual request like, "Since you're here anyway, could you fit a new plug socket?" This is especially likely to happen if the commissioning customer (a tenant) is not the same individual as the paying customer (the landlord). Nice guy that you are, you'll agree to carry out the job and then be afraid to add it to the invoice, since it was never included on the original quote. In Commusoft we have a useful feature to cover this eventuality, called Additional Works. This way the time and parts won’t get lost in your paper trail, and if the (paying) customer queries anything you'll be able to provide an answer quickly and efficiently. Next, consider the value you offer. In Part 2, we'll go into detail on how to set your prices based on the value you offer your customers. Need more help with pricing? We created a free pricing calculator just for you. Click on the banner below and you'll be seconds away from charging what you're worth.